That's excellent for a day's work! Here's a high five to you! I especially love the hexagons. I've been considering making a quilt using voile. What would you say is tricky about working with it? Do you have any tips? Thanks! I`m new to using voile so i haven`t really accumulated any tips yet. But I will say that it`s very slippery. 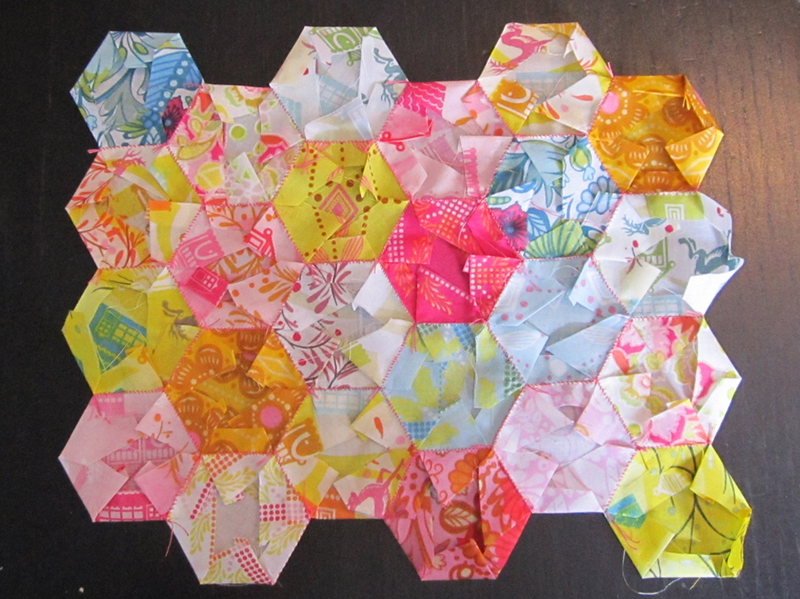 The hand stitching of the hexies was a breeze, no problems there. But machine sewing the borders around... more difficult than i thought. I don`t generally use pins when i sew blocks but this time around i did and even then things got a little puckery (is that a word?) There`s a lot of good advice for voile here on the AMH Little Folks flickr group. I say just go for it! Super, super productive!! I need to get that book; I love your star blocks!! And your hexie block is to die for!! I can imagine working with the voile would be pretty tricky. I love how you log cabined it with the Pastry print! Good work!! Thanks so much Gina! You should definitely pick up the book, it has lots of great blocks in it. Yeah, the voile quilt is going to be a long arduous process... a lot of hand sewing and i want to hand quilt it too! I must be crazy. But it will be worth it in the end! 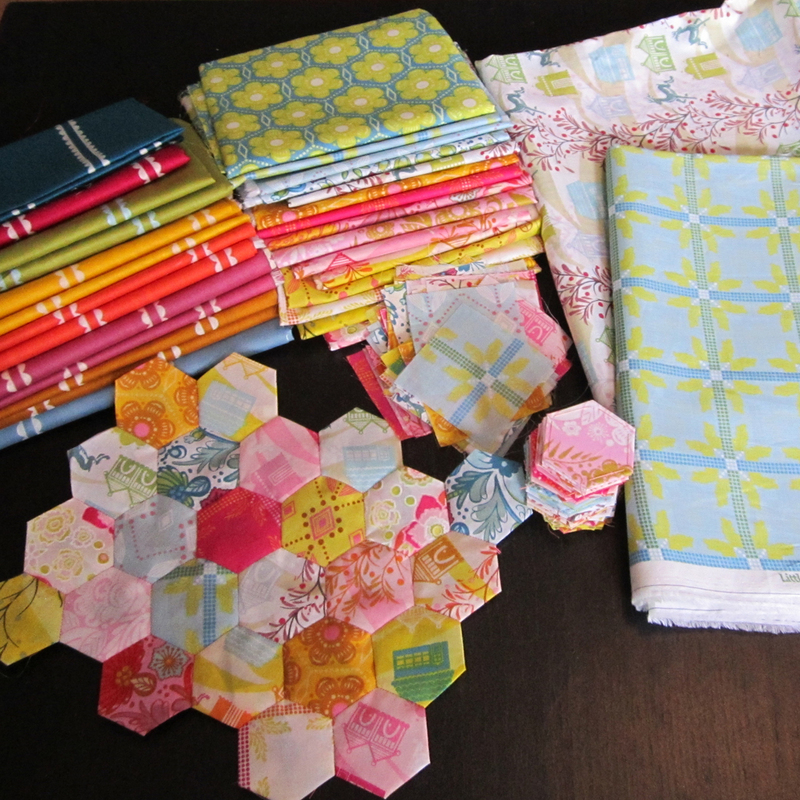 Really nice projects - love how you're handling the hexies, because they aren't a speedy project! Thanks Marcella! I'm hoping to make some of the 12 inch blocks all hexies as well as some with smaller squares of hexies bordered in the Pastry print. Hopefully this will balance out the work of all the hand stitching.